The perfect way to dial in your nutrition. The Kick-Start package will set you up for success to make the diet and lifestyle changes needed to for a healthier happier you. Your first session will be one hour and include measurements of your BMI, body fat and muscle mass percents, a discussion about your current diet, lifestyle, and most importantly, your health goals. After your first session, you will receive a full report including body measurement results, specific weekly goals (to reach your major goals) and a easy to follow meal plan. The second and third sessions will be half-hour follow-ups to track your improvement, and fine-tune your meal plan. 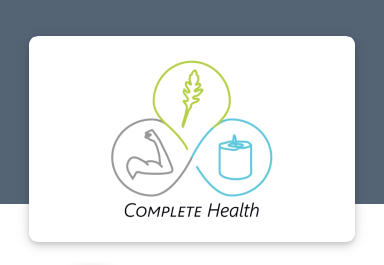 The ideal package for long-term success in reaching your health and nutrition goals. Lifestyle changes take time (usually 3-8 months) to create new habits and give your body and mind the time it needs to adapt and last long-term. With the Lifestyle Package you get a one-hour initial session and five follow-up sessions. Your first session includes measurements of your BMI, body fat and muscle mass percents, a discussion about your current diet, lifestyle, and most importantly, your health goals. After your first session, you will receive a full report including body measurement results, specific weekly goals (to reach your major goals) and a easy to follow meal plan. The following five sessions will be half-hour follow-ups to track your improvement, and fine-tune your meal plan. A Complete Health signature package that includes the Lifestyle Package, 3 - 90 minute Massage Therapy sessions of your choice, 30 half-hour Personal Training sessions and unlimited Kinesio Taping. This is the ultimate choice for those seeking healthy, long-term success with the proven to be effective combination of nutrition and exercise, and three therapeutic massage sessions to really top-off your body's health and fitness.